Another great movie at the Toronto Film Festival - The Joneses, starring David Duchovny and Demi Moore. I can't say too much... I don't want to give it away but it is an interesting concept. Definitely a very unique movie. 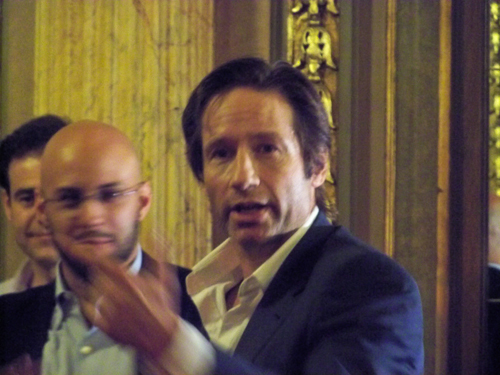 Oh and we saw David Duchovny in the lobby. MULDER!